What goods cannot be delivered from the USA to Lithuania? The USA EshopWedrop Origin warehouse is based in New York. This means, that every time you are shopping online from online retailers your parcels will be sent to the USA Origin Warehouse, and from there your parcels will be delivered to the UK warehouse, via Heathrow airport, before delivered to you in Lithuania. Once the parcels have been customs cleared they will be delivered by Tuesday (12 PM UK time) to the EshopWedrop UK origin warehouse. At the UK Origin Warehouse the parcels will be sorted and will leave on the next scheduled departure from UK to Lithuania. STEP 4 – Wait for our confirmation that your order arrived at your EshopWedrop Personal Delivery Address (please consider the delivery time in the respective country according to the local delivery option you selected when you placed the online order). Once your order has arrived at the EshopWedrop warehouse, our team will it arrange for the parcel to be delivered to Lithuania. Brands you love, delivered to you: With EshopWedrop you have access to high quality and cheaper products from the biggest online retailers in Europe. Even from those that don’t deliver to Lithuania. EshopWedrop does! Access to product sales across Europe: We all know that there are huge sales running online in markets such as the UK. Most of these products will be more expensive or not available in Lithuania! With EshopWedrop you can now shop for any products and enjoy the benefits of the discounts and sales in the UK and Italian market. Via this process you can sometimes benefit from a free delivery option that online retailers often offer its customers. Meaning, you only have to pay for the costs associated for EshopWedrop to deliver your parcel to Lithuania. Example: You have ordered a book from Amazon.co.uk that qualifies for free UK delivery and you have used your UK Personal EshopWedrop Delivery address at the checkout. This means that your parcel will first be sent to our UK EshopWedrop Warehouse allowing you to qualify for the Free delivery option that Amazon.co.uk sometimes offers. Your goods will then be delivered from the UK warehouse to Lithuania and you will charged based on the delivery charge you have selected. Is EshopWedrop for you? Who should NOT become our client and why? You have a too basic English level, foreign online stores may be difficult for you to understand. We recommend you to ask a friend or a family member who knows the language better, rather than stress yourself trying to do this alone. What are the times and dates for delivering parcels to my online shopping address in the UK, Poland, Germany, Italy and France? EshopWedrop provides consumers in Lithuania with the freedom to purchase products from online retailers in Poland, Germany, Italy, France, Lithuania and the UK, as well as USA. When do the parcels received at my personal online shopping addresses depart to Lithuania? Of course, this is one of the biggest benefits for using EshopWedrop. We will store your parcels in Destination Warehouse (DW) for two weeks, free of charge. This allows for your other parcels to arrive in the DW and then make one delivery order for all your parcels. We will charge you based on the cumulated weight and volume for all the parcels consolidated in one order, opposed to separate orders. Meaning you save on your delivery costs. Of course, you can order from any online shop from all over the world which is making deliveries to one of your EshopWedrop shopping addresses – Poland, Germany, Italy, France and the UK. We will receive your parcels at any of the EshopWedrop shopping addresses and we will take care of everything so that your products will be delivered safely to Lithuania. Why should I shop online from European Online Retailers? You will often find products much cheaper in Poland, Germany, Italy, France and the UK. As well as having more choices of products to choose from. You can shop from different online stores, consolidate your orders and get them all in one parcel so you save on delivery costs! You can shop from any online website no matter if it delivers to your country or not. We take care of this for you! Online markets in Poland, Germany, Italy, France and the UK often offer product at cheaper costs, as well as being of higher quality! I made an online purchase but I cannot see it among my parcels in my EshopWedrop account. Why? What can I do? 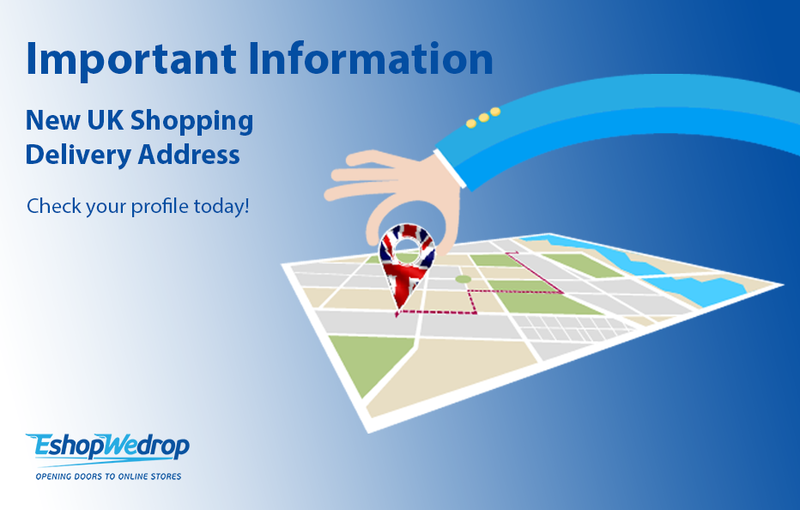 We kindly ask you to check if the online store has sent your products and if they were successfully delivered to your EshopWedrop shopping address. Did you receive a tracking number for the order from the online store? We recommend you use a track & trace delivery option, this sometimes costs (a little) more, but for peace of mind it is worth it. If the products were delivered, but the retailer did not correctly label your unique shopping address on the parcel, we will keep your parcels in the "Unidentified" category and will make investigations. We kindly ask you to contact us and send us all the details you have in order to clarify the situation. Of course! We recomend you use Pricerunner for your shopping from UK, for example. Ceneo - in Poland. Pagineprezzi - in Italy. Preis - in Germany.